Beza –XL, Beza XL (F/C) (SR), Bezalip, Bezalip (400 mg), Fenolip, Globez, Arope, Efrosa [soft-gelatin caps], Elprim [soft-gelatin caps], Elprim [soft-gelatin caps], E-Prime, Evaglow, Primosa [soft-gelatin caps], Primosa [soft-gelatin caps], Rosebel [softgel], Simrose [cap], Simrose [cap], Mibe, Athez 10, Etimibe (10mg), Ezedoc, Ezee, Ezentia, Ezerem, Ezetib, Ezibloc, Eziwa, Ezta, Ezzicad, Filet, Imbibe, Lipezet, Zeteze, Zetica, Zetimax (10mg), AFF, AFF FC, Aova –F, Atchol F, Atofast –F, Atorem –F, Atorfen 10, Atorfen 5, Atorin –F, Atorkare-F, Atorlip –F, Atormac –TG, Atornet F, Dyslip –TG, Dysliptin-TG, Fenacor (200 mg), Fenacor FC (160 mg), Feno TG (160 mg), Feno TG Plus, Fenobate (160 mg), Gemfibrozil (300 mg), Gempar (300 mg), Lipizyl (300 mg), Lopid (300 mg), Lopid (600 mg), Lopid OD (900 mg), Losterol (300 mg), Normolip (300 mg), Triglyd (300 mg), Triglyd (600 mg), Flovas. Flovas (2 mg), Prastatin (10 mg), Pravator, Pravator (20 mg), Bestor, Bestor (10 mg), Fortius, Fortius (10 mg), Fortius (20 mg), Ldnil FC, Ldnil FC (20 mg), Novastat, Novastat (10 mg), Novastat (20 mg), Razel, Razel (10 mg), Razel (20 mg), Rostar, Rostar (10 mg), Rosuvas, Rosuvas (10 mg), Rosuvas (20 mg), Rosuvastat, Rovalip, Alvastin, Biosim, Biosim (20 mg), Biosim (5 mg), G –Sim, G -Sim (20 mg), Lipicon –S, Satin, Satin (20 mg), Sim, Sim (10 mg), Sim (20 mg), Simaid, Simcard, Simcard (10 mg), Simcard (20 mg), Simcard –EZ, Simchol, Simchol (10 mg), Simchol (5 mg). 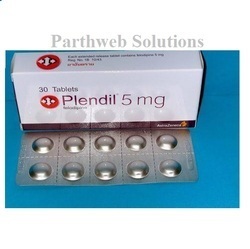 Plendil 5mg tablet is used in the treatment of hypertension, chest pain. It relaxes the blood vessels which makes the heart more efficient at pumping the blood. 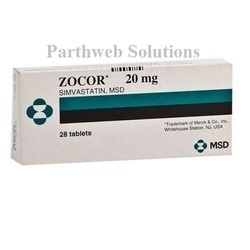 Zocor 20mg tablet is used in the treatment of increased triglycerides, increased cholesterol. It lowers the levels of triglycerides, bad cholesterol in the body. It raises the levels of good cholesterol. 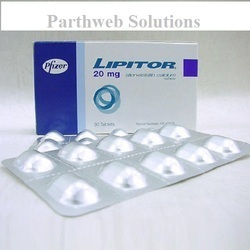 Lipitor 20mg tablet is used in the treatment of increased triglycerides, increased cholesterol. It lowers the levels of triglycerides, bad cholesterol in the body. It raises the levels of good cholesterol. 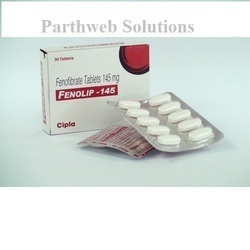 Fenolip 145mg tablet is used in the treatment of increased triglycerides, increased cholesterol. It lowers the levels of triglycerides and bad cholesterol in the body. It raises the levels of good cholesterol. Lopid 300mg capsule is used in the treatment of increased triglycerides, increased cholesterol. It lowers the levels of triglycerides, bad cholesterol in the body. It raises the good cholesterol. 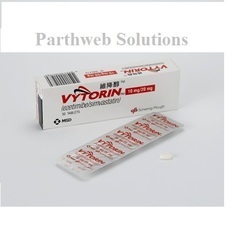 Vytorin 10mg/20mg tablet is used in the treatment of increased triglycerides, increased cholesterol in the body. It lowers the levels of triglycerides, bad cholesterol. It raises the levels of good cholesterol.